Basically, it's a faster iPad mini 4. The new iPad mini was only announced three days ago, but the first round of reviews has already arrived. And guess what? It’s an iPad mini 4 with a better processor. The new model is pretty much identical to the old one, and as such, its “throwback bezels” and “outdated” design are definite drawbacks to the $399 device. But if you can overlook it, you’ll be getting a solid device that gives Apple’s “Pro” laptops a run for their money. The new iPad mini is available for pre-order today in silver, space gray, and gold for a starting price of $399. Estimated ship date is currently April 9-12. At Engadget, Chris Valazco writes that while the iPad mini “might not be as important as it used to be,” it’s still a solid tablet with “crucial updates that make it worth using in 2019.” However, despite making a case for “perhaps the best small tablet out there right now,” Valazco says the appeal of the iPad mini isn’t as strong as it once was, mostly due to the iPhone XS Max and cheaper 9.7-inch iPad. Pencil support was universally praised by reviewers, with many comparing it to a small notebook. 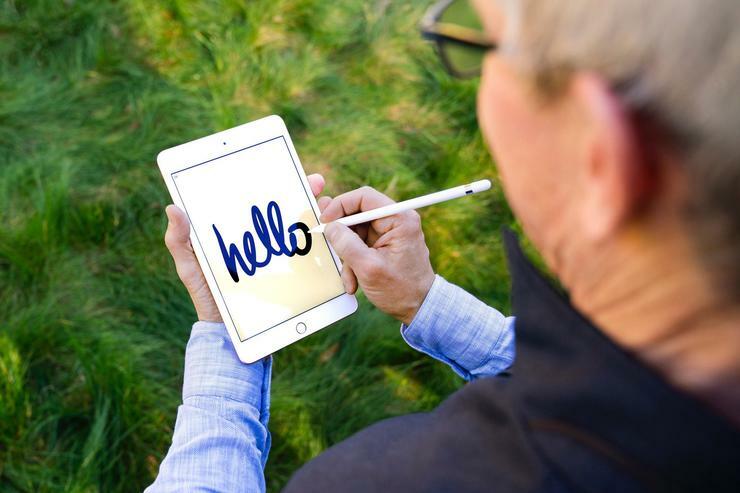 Jason Snell at Six Colors writes that “if you imagine the iPad mini as a sort of reporter’s notebook or artist’s portable sketchbook, it starts to make more sense as the most portable device yet to support the Apple Pencil.” However, he says that writing and drawing on the mini isn’t as good as it is on the iPad Pro, and he laments the lack of support for the newer Apple Pencil. And finally, Raymond Wong at Mashable writes that “the combination of compact form factor and performance is just enough to make the small tablet worth it.” He particularly praises its size and portability, and notes its appeal for kids and “Designers who are increasingly using AR to visualize objects in real spaces.” He criticizes the mini for its “average” camera and “dated” design, but says you’re unlikely to find a more “reliable” tablet at this size.